At the beginning of the twenty-first century, India stood on the brink of an exciting new era. Yet only a decade later, a series of corruption scandals and acts of violence against women had tarnished the nation's image and slowed her economic growth. When Narendra Modi became India's fifteenth prime minister in May 2014, he promised to revitalise a nation which seemed to have lost its way. With a record turnout, the elections were a powerful testament to Indians' aspirations for a brighter future. Rogue Elephant uncovers the gripping struggle between powerful vested interest groups and those trying to foster change. 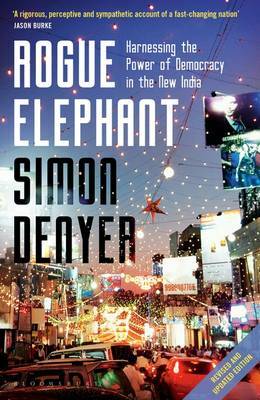 Simon Denyer exposes the failures that undermined India's self-confidence and paved the way for Modi's triumphant victory, but also examines the heroic efforts of those who are fighting for a better future in the world's largest democracy.